As an entrepreneur, you can do so much with it. As social media has grown in popularity, so too has it’s functionality and ability to reach people. For a free platform to easily connect you to your prime audience, its ongoing appeal is clear. Now millions are using it to do great things for their audiences. This accessibility has become a double edged sword. Anyone can, and do, use these platforms to access their audience in innovative and inexpensive ways. Conversely, this free-flowing accessibility has caused the market to become flooded. We now need to constantly keep up to date with our audiences across different social media platforms and across different time zones too! If you are still constantly posting to social media manually then you are probably doing it wrong. You would have heard about social media management software. These programs allow you to manage several different social media accounts across different platforms from the one central hub. There are many different programs out there. But today I’ll be taking you through the biggest, oldest and wisest of them all. Hootsuite has been around for a long time. It is an amazing piece of technology that can help you run (literally) hundreds of social media accounts at the same time. Here is a screenshot of a typical Hootsuite panel. Upon first glance, this can look intimidating to new users. And I don’t blame you. When I first started using Hootsuite it also was very intimidating to me. 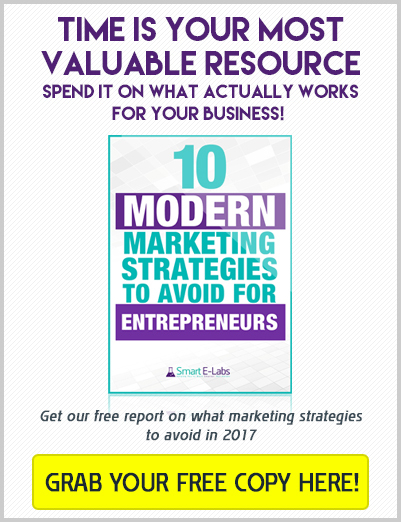 But the benefits definitely outweighed my fears and I’m here to tell you what you can gain from using Hootsuite. Yes that non renewable resource – time! Hootsuite can literally save you hours if not days of work with their bulk scheduling applications. You can plan days, weeks, or even months of social media posts ahead of schedule (probably even years, but that would be a bit much)! On top of this you can also add posts in real time on top of your schedule posts so you don’t miss out on those essential news items. Imagine seeing all of your major social media accounts in one place! Gone are the days you have to switch tabs, change windows, log in and out of accounts, etc. You can now see everything in one convenient dashboard. This is hands down one of Hootsuite’s crowning achievements. The convenience you get from having all of your social media accounts in the one place is worth the tag price alone. You can also trial the Hootsuite Pro Plan for 30 days here! An amazing feature if you have a social media team or additional staff members who write social media posts. You can create a posting team within the Hootsuite dashboard. You can check your team’s work before it is posted, check to see how to members are progressing with social media tasks and so on. There are a number of additional functions in the team management section of Hootsuite which we’ll discuss in a later post. Needless to say it is an amazing feature. If you are running a campaign for yourself or a client then this option enables you to post updates at specific times in the future. This is just a normal part of the Hootsuite platform, but it is seldom used to it’s full potential. Having a social media strategy is very important for full engagement and increasing growth. We will be writing more on how to use Hootsuite to implement an effective social media strategy in later articles. Hootsuite is an advocate of educating people in social media management. Using social media as a tool to engage potential clients and communities has proven to be effective. So much so they have created a dedicated platform to utilize the best functions and best practices of Hootsuite. This is called Hootsuite University. Here you’ll find a free education platform which helps you learn the best features of Hootsuite and also teaches you social media best practices. In addition the Hootsuite Blog is a constant source of important social media updates and information. Hootsuite also offers a full featured analytics and insight capability suite. With Analytics you can measure the effectiveness of your social media outreach and campaigns with beautifully crafted and customized reports. With their Insights you can understand the conversations happening with the topics that matter to you and your audience. Hootsuite’s Enterprise strength social listening solution delivers data from over 100 million social resources in real time. You can access Hootsuite quickly and easily in your web browser. You can also utilize handy extensions for your browser or download the mobile app to write, schedule and plan your next social media marketing move anywhere in the world. I can’t think of any modern device that you can’t use Hootsuite on. Utilizing Hootsuite to save time, increase productivity and ultimately saving or even creating money for your business. You can sign up to Hootsuite for free and get 30 days of the business plan to try right here! 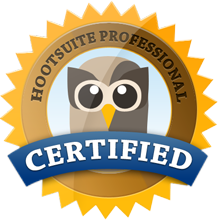 I am a proud Hootsuite Ambassador, so I’ll be writing more about Hootsuite in articles to come. The line is open for requests! So please drop a comment below if you’d like a hand with anything Hootsuite or social media management related! Have you tried Hootsuite? Or do you use Hootsuite yourself? What special tricks or hacks can you share with our audience? If you have any questions or comments, please feel free to leave them below! We would love to hear from you! Periscope for Business – Great engagement or potential disaster?